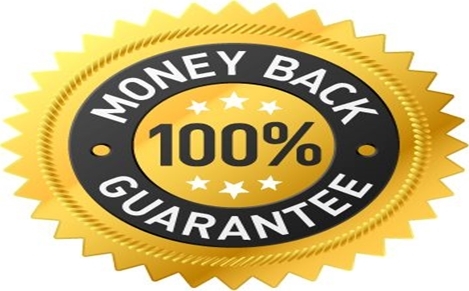 100% Money Back Guarantee For Paul Penders Products? We are so confident in our products that since the beginnings of our company we offer WORLD-WIDE a “no-questions-asked full money back guarantee” for all our products. No matter where in the world you bought a PP product or what country you may live in, if you feel less than fully satisfied, we will return your money or give you an exchange. How many companies do you know will do that? Why? It’s simple. Your trust and good faith in our company and all of our products is what keeps our company alive and thriving. As a matter of fact, we were among the very first in the beauty industry in the US offering a “money back guarantee.” I remember meetings when we were based in Amsterdam 40 years ago and I had long discussions with Paul Penders staff in which we talked over the pros and cons of guarantees. I agreed then as now that we would never offer anything less than a 100% money back guarantee. It shows our confidence in the integrity and benefits of our products and we want to deserve your trust. So — even if you have had a PP product sitting on a shelf for 5 years, and even if you have fully used up the tube, bottle, or jar, you can ask and you will receive a full refund or an exchange for a fresh new container of the product in question. How do you go about making a return? You can contact your local distributor. The precise manner of how this is to be handled depends on the distributor in the country where you purchased it, but whatever the case, Paul Penders International will make sure your refund happens. Send or bring us the item and a receipt if possible, and we will return the money you paid for the product. If you don’t have a receipt, we’ll look up the list price and refund you that – immediately! No questions asked. That’s a promise. But we would love to know your reasons if you do decide to return an item. Those reasons might help us to overcome some unknown or unsuspected issue. Total Quality Improvement – TQI – is one of our core values. We are always looking for ways to improve. And we always welcome your suggestions! Wherever you are in the world, you can also write to me personally for full satisfaction and I will handle your refund myself. No questions asked – we trust and value our customers!